Moving forward from divorce can be a sensitive and complex change that affects the entire family. Once the decision has been made and separation is underway, parents have the important obligation of deciding on child custody, creating a parenting plan and determining the child support amount. Though this may be a time of heightened emotions and stress, providing for the children's overall wellbeing should be paramount. Their fear and uncertainty can be minimized when parents are constructive, cooperative, and even amicable whenever possible. Moreover, implementing the best co-parenting arrangement begins with understanding legal options and being aware of some of the finer points that should be included. Types of Custody: Courts recognize two main areas of child custody-physical and legal. Physical custody refers to where the child will actually reside or spend time. Courts seldom grant "sole" physical custody to a parent, unless circumstances make it impossible to share custody, or unless the other parent is abusive or otherwise "unfit." Most states prefer to see "joint" arrangements, where both parents have equal time with the children. (This usually works best when parents live in close proximity to one another). Sometimes, however, that isn't possible. In this case, courts may grant "primary" custody to one parent, where the children spend the majority of their time with one parent, and the other has visitation rights. This is determined in part by things like: access to extended family, the children's relationships with each respective parent, the quality of the home environment, etc. Legal custody, on the other hand, refers to the right and responsibility of a parent to make major decisions about a child's upbringing. This includes things like determining religious affiliation, where children attend school, how medical care is administered, etc. Like with physical custody, a court may grant sole or joint legal custody. Informal Negotiations: The family court system supports the importance of developing a respectful and healthy co-parenting relationship. In fact, 50% of counties nationwide hold and even mandate classes for divorcing parents (according to a study by Western Michigan University). Courts hope to see parents resolving their own concerns outside litigation in their children's best interest. Along these lines, a recent poll by divorcepeers.com (a community service site) found that while only 4% of divorcing parents in the U.S. go to trial over custody, the majority are able to resolve their issues themselves or through mediation of some sort. In this case, a qualified outside neutral party may be used to more constructively facilitate an agreement. Even if court-appointed, enlisting the help of a trained professional can enhance the process and even increase the chances that parents will continue a cooperative exchange after a divorce is finalized. Naturally, when parents are at an impasse, a court may weigh a mediator's recommendation. Creating a Parenting Plan: Whether you have sole, primary, or joint custody, the more detailed a parenting plan the less opportunity there is for conflict down the line. Parents will want to customize both physical and legal stipulations based on children's ages and any special needs. And every effort should be made to offer children the chance to have quality time with each parent. Fleshing out the days and even times and locations for visitation or "exchange" can help establish consistency and promote cooperation. It will also be important to recognize and "share" holidays and other occasions that are culturally and religiously significant. 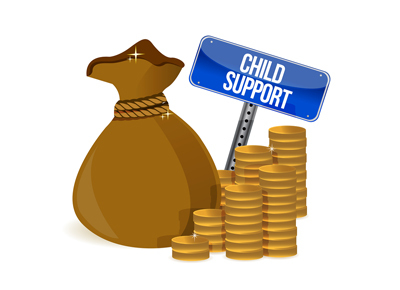 Financial considerations like child-support and tax credits should also be defined. Once a couple is in agreement, the document should be drafted, signed by both parties and submitted to the court. (It may be best to have an attorney oversee this). Upon approval, the provisions will become a court order, and will be enforceable bythe police in the event of a violation. Bottom Line: In general, wherever appropriate, courts seek to maximize both the "physical" and "legal" roles of each parent in their children's lives. This helps create a more secure environment for the kids and a more fair arrangement for the parents. It may not always be possible to arrive at an amicable "joint" custody arrangement, however. In some instances a judge may even deem it in the best interest of a child to be the sole ward of one parent over the other. Nonetheless, respect, balance, and cooperation are key for parents trying to maintain a unified parenting front; and detailed planning can help achieve a smooth transition into co-parenting.